I’ve needed to take a hiatus from this little blog of ours…so although there are a million things I could tell about in the last many months, I must make this news hop up onto our blogosphere today! 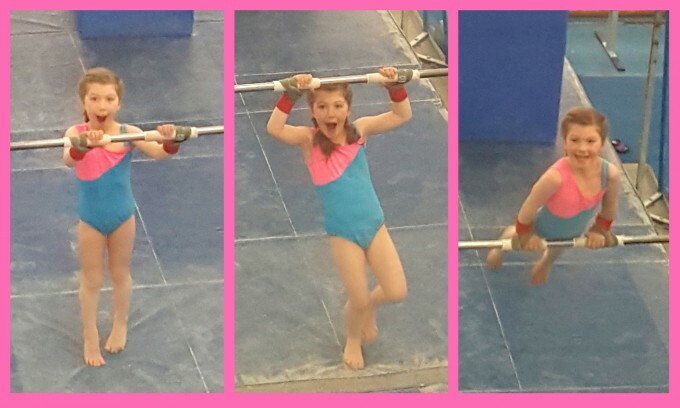 Selah has continued to love gymnastics and she is growing beautifully in the sport. Today, Brian and I BOTH got to be there to watch her, which is an extremely rare occurrence. …landed a cartwheel on the “skinny” beam for the first time! Also, shout out to her awesome coach for truly being an amazing teacher!! We asked her what she would like to do to celebrate and after thinking a minute, the biggest thing she could come up with to celebrate was…wait for it…GO TO KING SOOPERS (which is a local grocery store)! LOL!!! She really wanted to pick out a special snack! (Plus, King Soopers has a “kid basket” where kids can go pick out a piece of fruit to eat for free..and it’s her favorite!!) So…I said, “Well why don’t we take you to pick out a special snack AND how about we go out to dinner…your choice?” Her mouth got huge and she said, “REALLY?!! BOTH??!!! !” Aaahhhh, I love my girl!! I love my girl who is thrilled with the simple pleasures of life and who is overjoyed at the thought of food. Congratulations, Sweet Bean. Your strength and perseverance and endurance and joy are truly inspiring. Way to go, sweet one. I do not believe it, but it’s here in front of my eyes. We adore you, pure hearted princess-girl. What a strong and talented little one! Way to go! I asked Selah this morning what was different about that day, that she was able to do the kip. She said, “l had two bowls of cereal and a bowl of oatmeal.” So that must be the secret! Well obviously I gave her parents’ presence way too much credit…clearly it was this breakfast of champions that did it!!! < Lady Selah’s and Sir Brian’s Birthday!